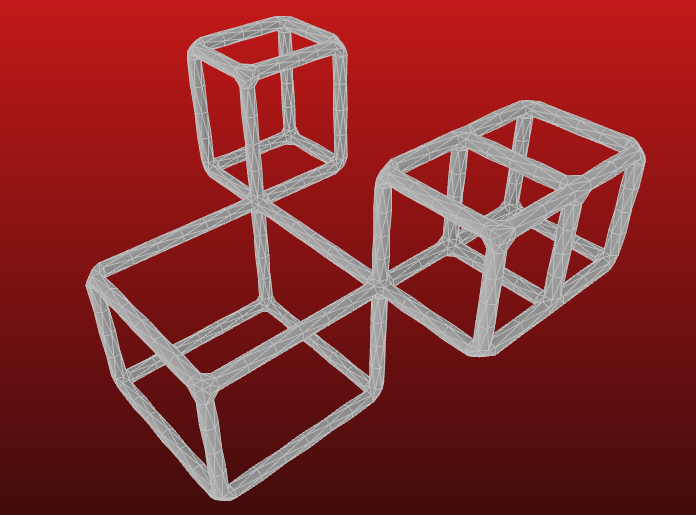 (without the heavy calculation of a Boolean intersection of many pipes and spheres). The input line networks can have any topology, and need not form closed polygons or volumes, so could come from algorithms such as DLA, leaf venation, or Woolly threads. The resulting meshes are ideal for 3d printing and further processing, such as subdivision with WeaverBird and relaxation with Kangaroo. 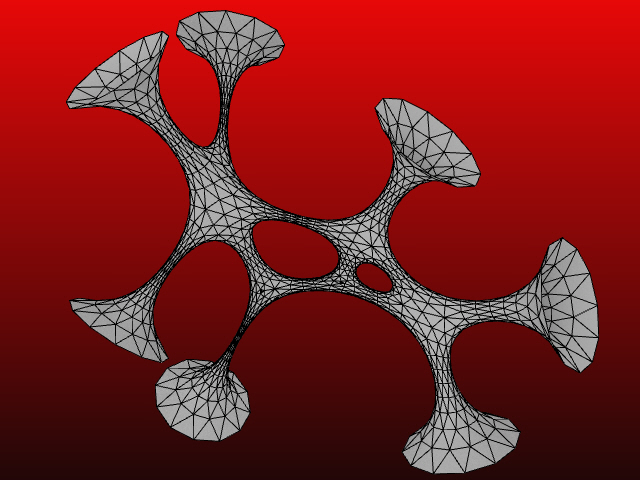 There are settings for the thickness of the struts, node sizes, and whether to leave openings at nodes with only one connected line. The approach we used is loosely based on the one described in the paper Solidifying Wireframes by Ergun Akleman et al. Thanks to Giulio Piacentino for helpful discussion in the development of this idea, for WeaverBird, and the GHA wizard, to Mateusz Zwierzycki for convex-hull ideas, and Kristoffer Josefsson for helpful discussion. Thank you, David and Daniel! This is a great tool. Would you be able to share the GH definition of the 6th demo? I was working on a very similar structure but with more branches in 3D space. Thanks, I will definetely download it. 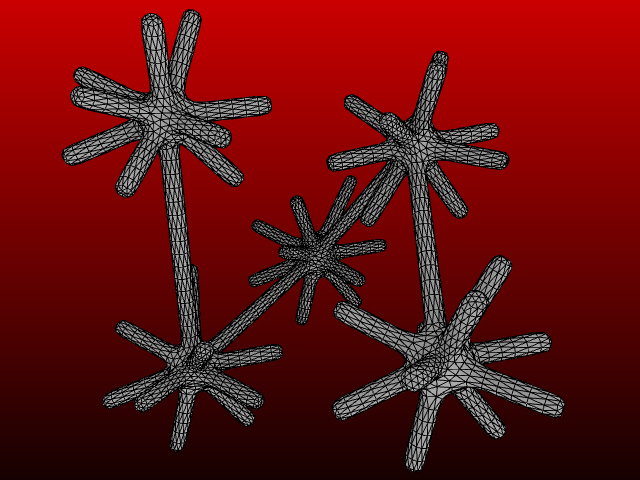 Also, you will find some example files there for download...in the complex examples package there should be one for a Radiolarian that you can play with. Good luck! I would like a sphere like the first image that you posted. Is it possible to send me some key words to help me. any idea to solve patric guenther's issue? Same thing with me. I would like to ask, did You figured out the overlapping nodes issue allready? really impressed with this! thanks for sharing your work! First of all thanks a lot for your work!! Ive been struggling to print a diagrid on a building, and joining each pipe was giving me a hard time, as that wouldn't work. When i enter all the curves into the script I get an overflow error. Is there a way to get through it? Joining lines maybe?